One of these years, maybe even this one, I'm going to do the Radio Bean Birthday Marathon. If you've never heard of the RBBM, that's because I just invented it right now. The idea is to show up for the coffee shop's annual birthday bash in November at the moment it opens the doors in the morning and stay through every single band until the very last note has been played at 2 a.m. Or until I get kicked out for drinking too much, er, coffee, whichever comes first. In the meantime, local DJ Disco Phantom — aka Brian Nagle — is about to attempt a similar, but likely even more impressive, feat. Dude is going to spin records for 18 straight hours at Radio Bean this Saturday, April 4. You read that correctly. I know what you're thinking. Good God, why? And, Is he totally insane? I know Nagle a little bit and, in my experience, he's a pleasant, even-keeled guy. I'm pretty sure he hasn't lost his marbles. Though, given how much work seems to have gone into the upcoming Waking Windows festival, I suppose it's not out of the realm of possibility. As for why he'd subject himself to such a feat of steel-wheel endurance, this Saturday marks the five-year anniversary of Less Digital, More Manual Record Club, the monthly Bean residency Nagle started with Kevin Sullivan and Michael Carney. If you've never been, the first Saturday of every month, Nagle sets up shop in the afternoon and invites anyone and everyone to bring in records — as in actual vinyl — they want to hear. You can imagine what an eclectic mix of tunes that setup can produce. Nagle says he's been toying with the idea of a daylong DJ set for at least two years. He started with an eight-hour set at one of Bean owner Lee Anderson's famous — or infamous? — wine-and-cheese parties. Each year since, Nagle has rocked that party longer and longer. He's pretty sure his current record is about 12 hours. Or about the same length as legendary DJ Larry Levan used to spin every weekend at the Paradise Garage in NYC in the 1980s. "I like to push myself to see how far I can go," says Nagle. Clearly. He adds that Record Club has rules. The first one? Don't talk about Record Club. Rule No. 2: Sign up to hear your record played. Nagle notes that his Record Club marathon will be the last one for a while. 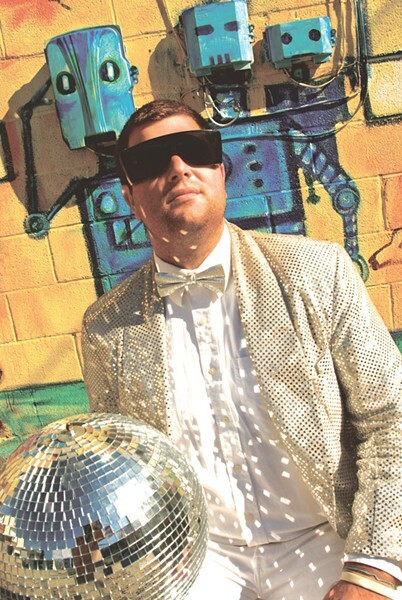 Disco Phantom has become one of the area's most visible DJs — seriously, he plays all the parties. And the summer is shaping up to be too busy. Nagle had considered enlisting subs to keep the residency rocking but decided against it because, well, Record Club is his baby. "I want to be the one doing it," he says. Speaking of clubs, the Vermont Comedy Club is set to open ... in about five or six months. Ahem. However, local comedy don Nathan Hartswick did recently pass along a sneak peek at the lineup for this year's Green Mountain Comedy Festival in May. And it's impressive. Among the headliners are Apollo, a troupe from the epicenter of improv comedy, the Upright Citizens Brigade in New York City. They'll be at Club Metronome on Friday, May 22. On the standup side, a pair of up-and-coming comics, Alingon Mitra and Aparna Nancherla, will hit up the Skinny Pancake in Burlington on Saturday, May 23. 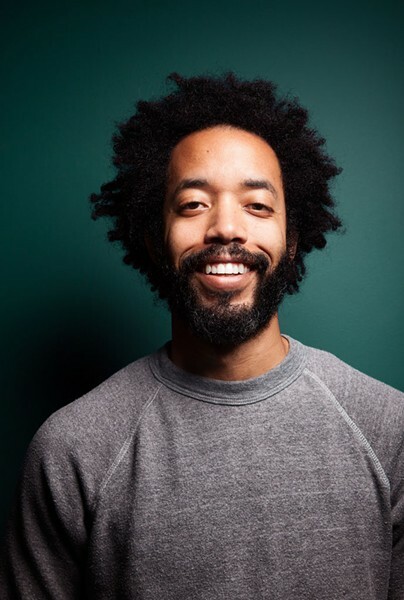 Mitra has been featured on Comedy Central, in addition to making the late-night TV rounds. Speaking of late-night TV, Nancherla was a writer on the criminally short-lived "Totally Biased With W. Kamau Bell." As always, the backbone of the GMCF is the Vermont comedy scene. And there will plenty of opportunities to check out the locals. Some shows I'm bookmarking: the "Best in Show" showcase with the winners of the last Vermont's Funniest Comedian contest; Kyle Gagnon's one-man show, "Nothing Weird"; and "The Oddballs Show" featuring alt-comic and column favorite Taylor Scribner. Tickets for all shows go on sale Wednesday, April 15. For more info visit greenmountaincomedy.com. Not too long ago, the monthly-ish Full Moon Masquerade was, hands down, the most debaucherous party in town. Sadly, the event has gone into hibernation — so long that I can't even remember when the last one was. Well, good news. It's baaaack! The fine folks at Signal Kitchen in Burlington are rebooting the FMM this Saturday, April 4. And they're bringing in some serious talent, including keyboardist Marco Benevento and local indie popsters And the Kids. A missive from SK co-owner Alex Lalli suggests more surprises on the way, including visual art, speakers and comedians. Don't forget your mask. In other news, Higher Ground Presents has announced a few more shows in the Ben & Jerry's Concerts on the Green series at the Shelburne Museum. On Monday, June 29, Gary Clark Jr. and Trombone Shorty & Orleans Avenue will tear up the museum's stately lawn — figuratively speaking. And on Saturday, August 1, the Avett Brothers come to town. Tickets for the Avett Brothers are on sale this Friday, April 3. Tickets for Gary Clark Jr. and Trombone Shorty are on sale now. 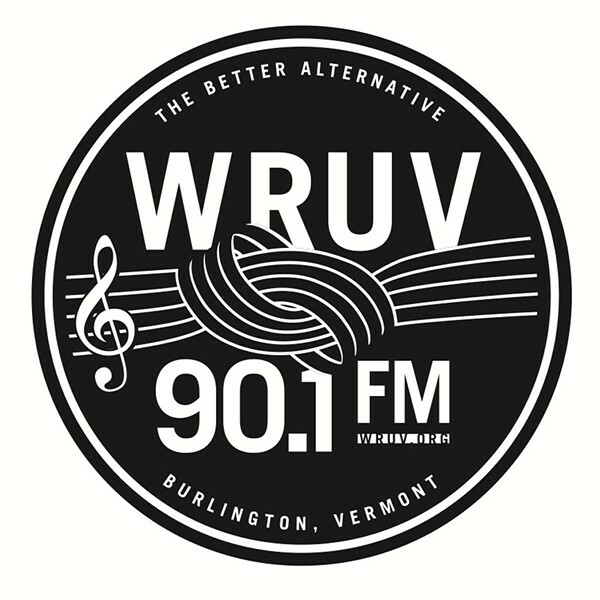 As mentioned last week, University of Vermont radio station WRUV 90.1 FM turns 60 years old this year. To celebrate, it's throwing a bash at the BCA Center in Burlington this Friday, April 3. The free party will feature music from indie-folk outfit the Leatherbound Books and DJs Llu, Not Ted and Melo Grant. Grant, by the way, should be considered a state treasure. Her independent hip-hop show "Cultural Bunker" on Friday nights is required listening — it's perfect getting-ready-to-go-out music. I'm pretty sure she's forgotten more about hip-hop than most of us will ever know. Last but not least, a few months back I predicted that Rick Norcross would come back from the Academy of Western Artists awards in Dallas with at least one win out of the six for which he and his band, the All-Star Ramblers, were nominated. Well, folks, given my City Hall Auditorium coup earlier, I'm on fire. Norcross' song "You Can't Make It Up" won the top prize for AWA Song of the Year at last weekend's awards ceremony deep in the heart of Texas. Ramble on, Rick. And y'all can check out that tune ... excuse me, that award-winning tune on our arts blog, Live Culture. Or catch him in person at the Good Times Café in Hinesburgh this Saturday , April 4. A peek at what was on my iPod, turntable, eight-track player, etc., this week.